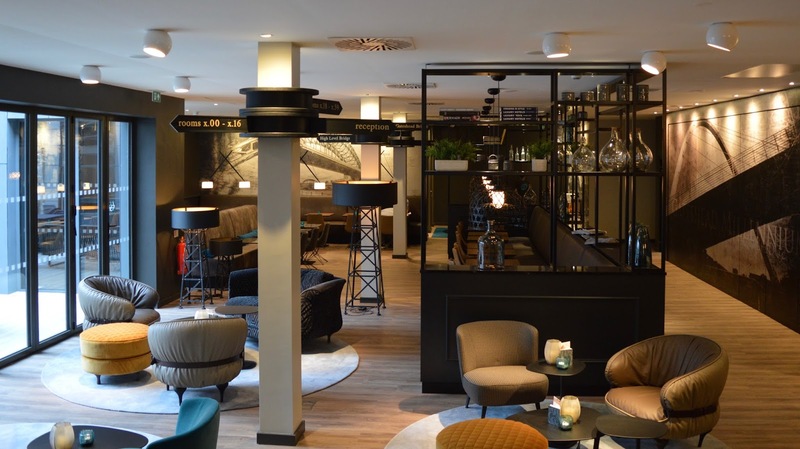 I had never heard of Motel One before or that it had opened in Newcastle (where have I been?!?) until an invite popped into my inbox inviting me to their launch party. Of course I had to have a nosy around their website and I was super impressed with their prices (rooms from just £59) and 5* reviews. I could not resist booking a room and checking the place out for myself on the next night my mum offered to babysit. Motel One is probably the most central hotel in Newcastle - located on High Bridge Street just off Grey Street you are in the perfect position for shopping and with the bars of Grey Street, The Gate & The Diamond Strip being just a few minutes walk away, the hotel is also very convenient for a night out. We were travelling for leisure but the hotel really lends itself to business travellers too with complimentary wifi throughout and a comfortable lobby which would make a nice place to meet for an informal business meeting. Check in was smooth and friendly with a chatty receptionist asking about our stay. This led to a special note being left in our room but I won't spoil the surprise. After checking in we were keen to head downstairs for a few drinks. The bar staff are keen and friendly and happy to chat and offer advice or tell you a little more about specific drinks (is it just me that never knows what half the ingredients in a cocktail are?) Hot drinks are also available but we were having a night away and wanted something a little stronger! 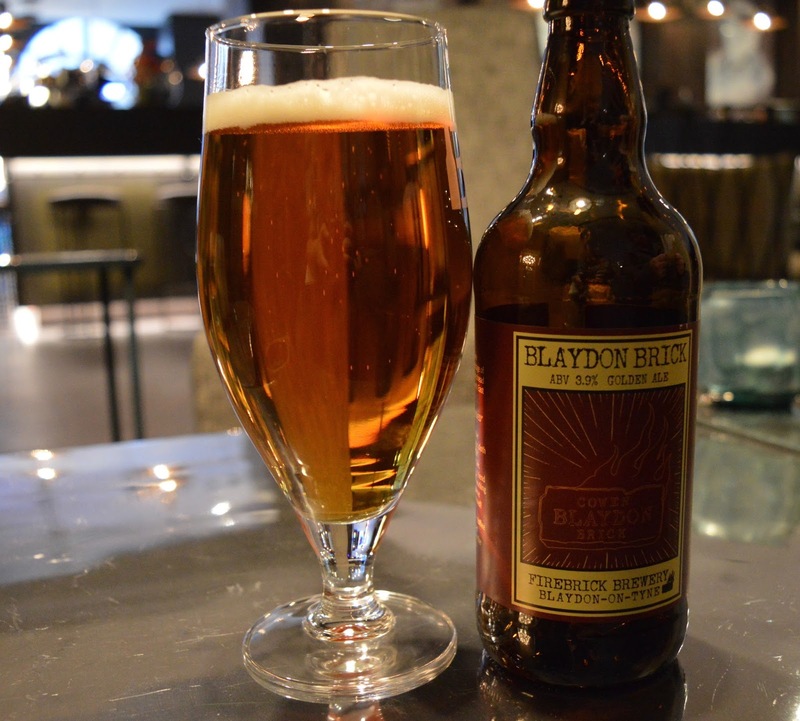 There are some local beers available too. 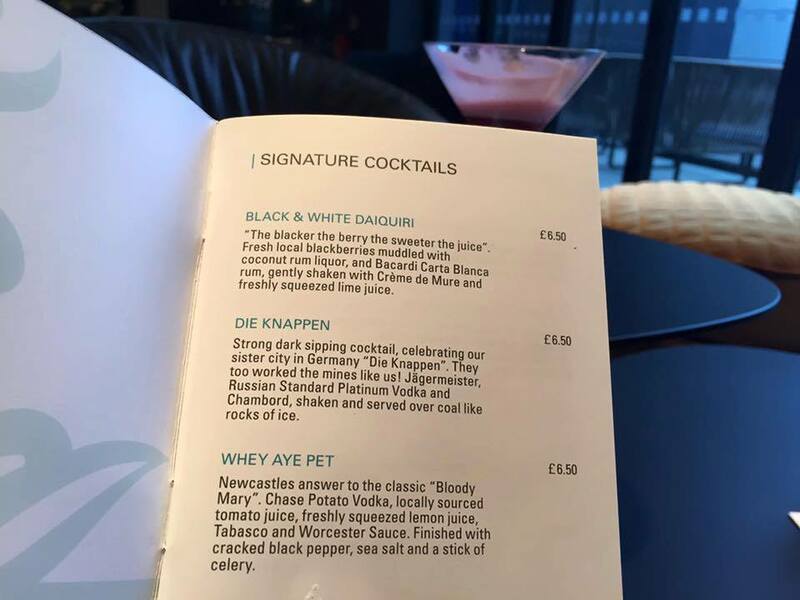 I loved the little local touches such as a 'Whey Aye Pet' cocktail that has been created just for this hotel plus the 'Die Knappen' cocktail which is the hotel's twinned city in Germany. Our barman James was keen to tell us about their creation and when he asked my favourite cocktail he went that extra mile and found out how to create it for me on my return to the hotel later on. All of the staff went above and beyond and the service we received was absolutely 5*. I really hope this continues. There is a large selection of seating from formal tables and chairs to comfy sofas and even a chair made from sheepskin by the window - the perfect place to snuggle with a book I think. There is also an outdoor courtyard but this wasn't quite ready during our stay. 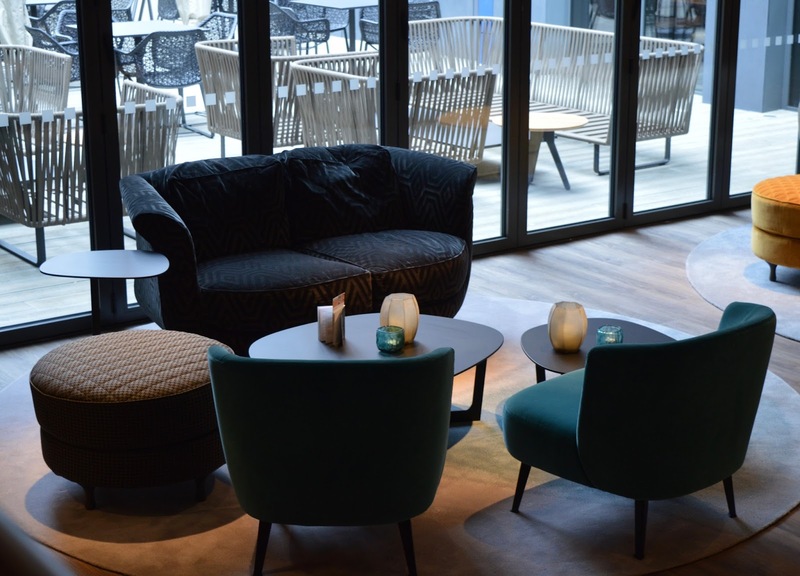 Although it mostly doesn't feel like it, Motel One classes itself as a budget hotel. 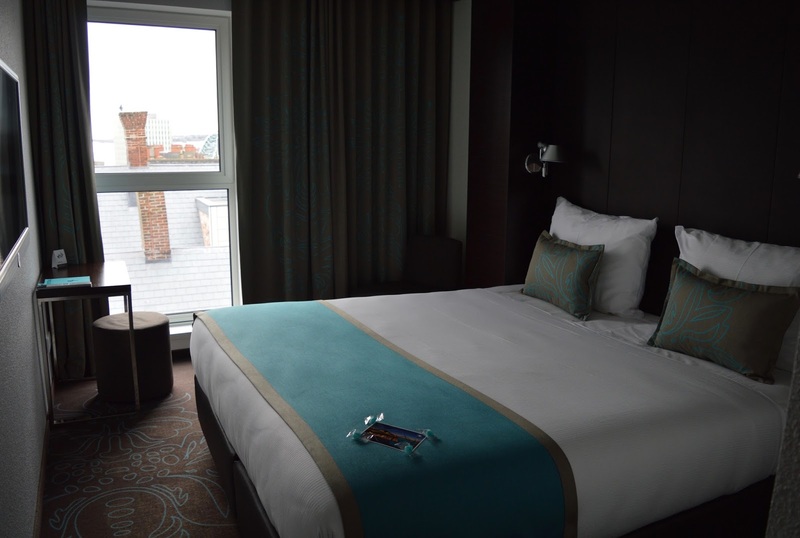 Remember, stays are from £59! Our room was very small but at the same time very functional. The room packed more in than we would have expected from a budget hotel room - tea and coffee making facilities plus a hairdryer and toiletries for example. There was also room to squeeze in a small desk in the corner and the shower was spacious and very powerful. Plus there is the holy grail of hotel rooms - a plug socket next to either side of the bed! woohoo! Our bed was super comfy, the room was dark and we heard no noise through the evening. 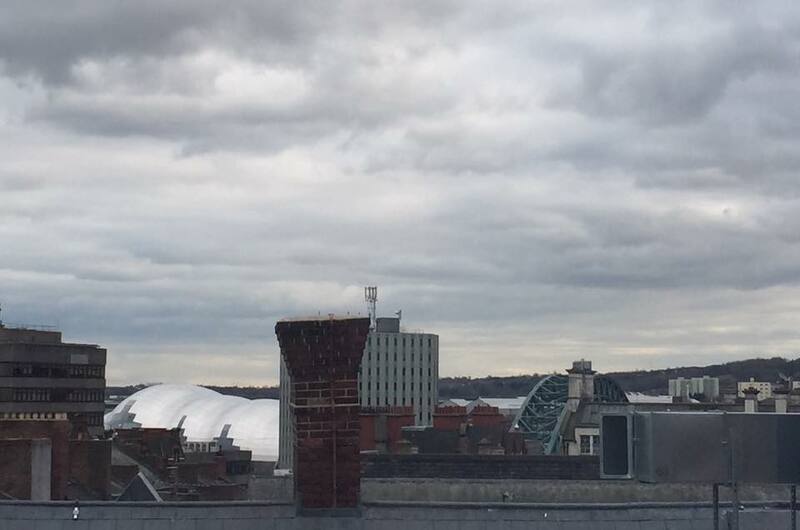 We even had a view over the rooftops of Newcastle - spot the Tyne Bridge and Sage in the distance. There were a few negatives to our room - no wardrobe space or drawers (just those external hangers you hang on rails) and the space issue. For me these can definitely be overlooked though and it's a compromise I'm happy to make when all things are considered. Ready for our night out. Motel One is next door to The Stand Comedy club. We paid £5 for entry on 'free food Thursday' and it was definitely money well spent. We laughed the night away to four fantastic comedians and loved that it was just next door! Pleased to Meet You is two doors away and a nice place to head to for a cocktail or two, especially if you're a fan of Gin. 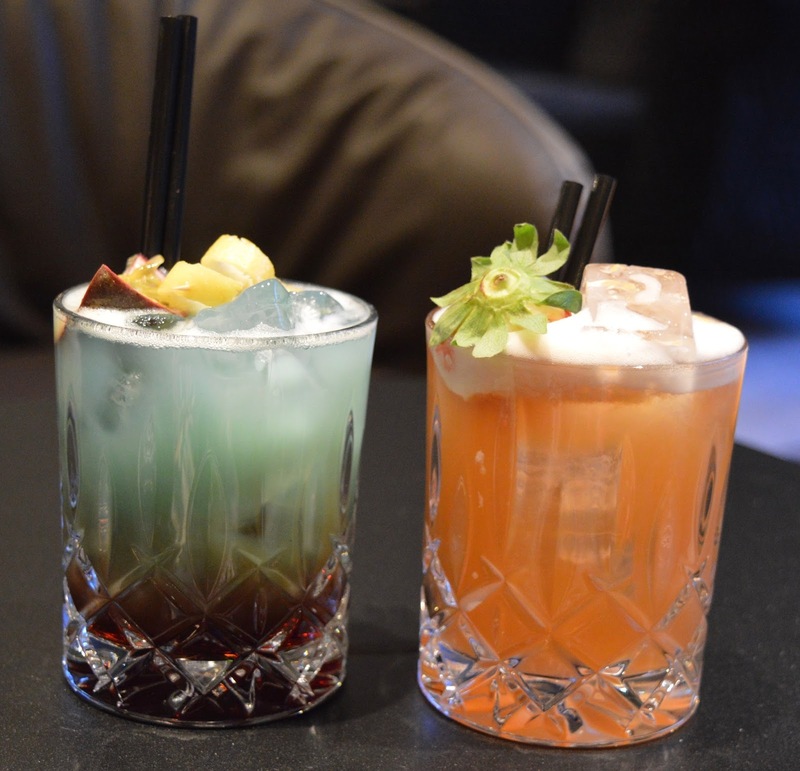 On Grey Street (right next to the hotel) you are spoilt for choice with some of my favourites including Las Iguanas, The Fat Hippo, Dat Bar, Lola Jeans and The Botanist all being within a 3 minute walk of the hotel. In the other direction you have the crazy night life of the Bigg Market, The Gate (home to bars, restaurants, casino and cinema) and the start of the 'diamond strip'. Again, all a few minutes walk. For shopping I think Motel One is possibly the closest hotel to intu Eldon Square. The Grainger Market is right on your doorstep too as is the wonderful Central Arcade and Northumberland Street isn't far either. 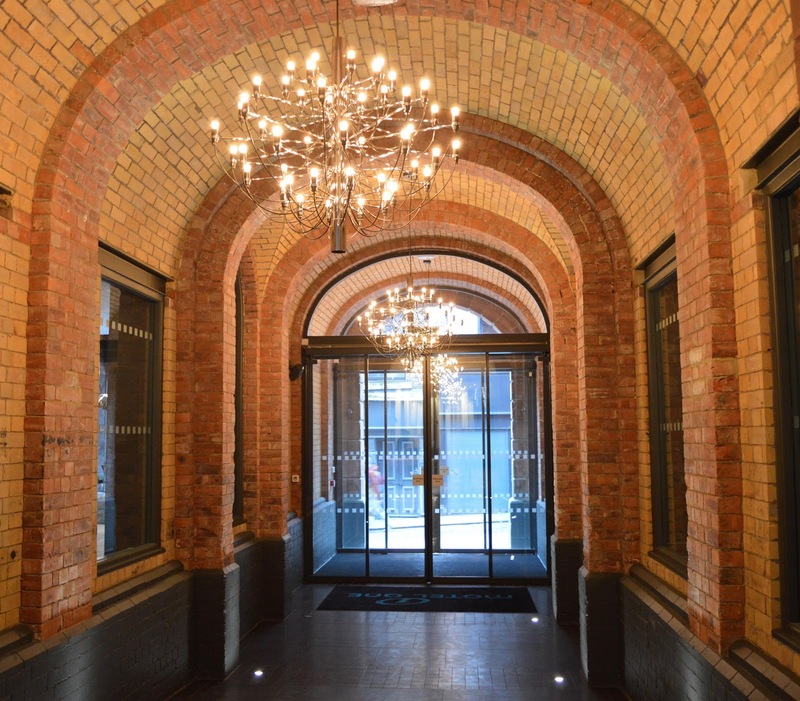 Motel One offer a breakfast buffet for £9.95. We passed on this as we rarely pay for breakfast in a hotel unless it is in with the price - there are usually better deals to be had. We walked past the buffet in the morning though and were impressed to see ingredients had been locally sourced from Newcastle's Grainger Market. Everything looked delicious so perhaps this would be an option if you were in a rush or didn't want to find somewhere else. 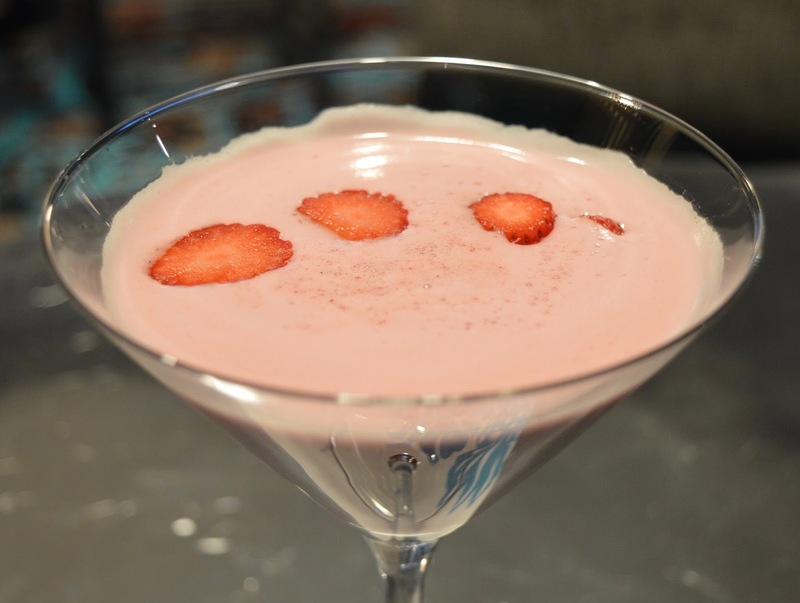 There is a late check out of 12 noon at Motel One so you have plenty of time for a leisurely morning. We decided to head around the corner to Blakes which is often cited as one of the best places in Newcastle for breakfast. Perhaps it is just me but I don't find it that special. Don't get me wrong, it's lovely but I don't know why everyone hypes it up like they do. It's ALWAYS busy so we ended up sharing a table which is perhaps part of the reason I wasn't so keen. We ordered stotties but they looked more like buns to us. 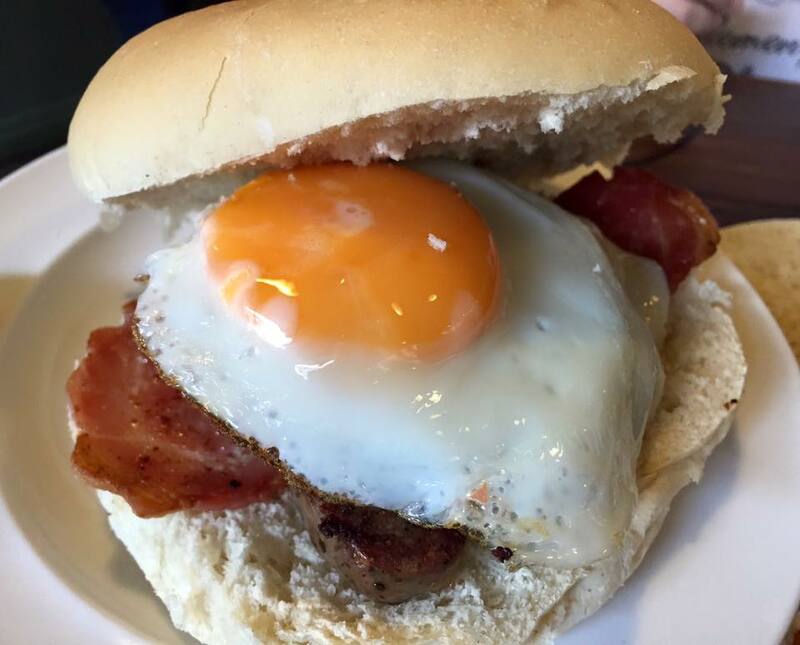 Breakfast at Blakes is served until 2pm. It was almost 12 noon and time to check out. Boooo! We ended our stay with a browse around Northumberland Street and Eldon Square before heading back home and back to reality......until next time! Wow that is a great price and it looks much nicer than your average travelodge or premier inn. I am definitely going to check out their website! Great review Sam. I'll recommend it to friends staying. This looks like such a lovely hotel. When we go back up to Newcastle to visit family we always end up staying in the premier inn or travel lodge but this looks so much nicer. Hoping to fix up a stay soon, loved the hotel and it's dog friendly! I have booked to stay here in June for my Newcastle hen do. Love how close it is to all the bars I drink in and it looks so nice from your pics. That looks so nice, much better quality than other hotels in a similar price range too by the looks. Still can't get over the amazing price, we've been needing a hotel like this for such a long time! I'm definitely checking out the bar next time we're in town. A bargain hotel with cocktails and style sounds my perfect combination! That looks like a great place to stay and have some fun!